The starting point of any successful SEO campaign is great content. Period. The popular adage “content is king” isn’t just another cliché. It is the truth. If you desire to maximize your website’s SEO potential, you will have to start with high-quality content. There is no getting around that. The cornerstone of great content is high quality writing. Unless your website consists entirely of photos, videos and slideshows, you need website copy. In fact, even if your website consists entirely of photos, you need to write meta tags. 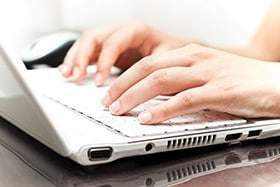 So, there is no escaping the need for great writing on your website and if are unable to do that yourself then that means hiring a company to provide you with professional writing services to make that happen. – One of the measures which search engines use to rank websites is user experience. This consists of aspects like loading speed, ease of navigation and general design. The most important factor in website UX is the quality of writing. Content which is written in a clear, succinct and vivid manner is enriching for website visitors. As such, it provides them with a better UX. Conversely, content which is unclear, choppy and difficult to understand is a turn-off, and makes for a horrific user experience. – Great writing is one of best ways of retaining a website’s visitors. It is also the surest way of guaranteeing repeat visits. The more visitors a website receives, the more search engines consider its content to be relevant, and thus, the higher its search engine ranking. – Google’s algorithm now uses social media signals when ranking websites. Great writing is one easy way of enhancing social media signals. This is because such writing gets shared, liked, re-tweeted, mentioned and discussed. This ultimately enhances a website’s social influence, hence its SEO. – One of the most common causes of low SERP rankings is having a high bounce rate. Websites with high bounce rates tend to be downgraded by search engines. In most cases, high bounce rates result from poor web copy. When someone visits a webpage and fails to make sense of the content, they simply leave. Well-written content retains visitors, hence lowering the bounce rate, and ultimately enhancing the website’s SEO. What Is Great Copy Anyway? – The starting point of web content development is keyword research. For any writing to be relevant, it has to be based on the website’s keywords or phrases. Therefore, great copy is written after a keyword research has been carried out, and is based on the findings of the research. – Great copy needs to have the target keywords or phrases inserted into it. And it needs them optimized to a specific density. The recommended density is between 1% and 2%. Anything below that is too scanty. Any value above that is too spammy. Go here for a simple guide to help you learn about keyword density. – The content needs to be original i.e. not duplicated from other websites. Any content which is plagiarized is likely to be punished by search engines. Rather than duplicate content, it is better to include outbound links to the websites which contain the original content. – Great writing follows the rules of grammar, syntax and semantics. At the least, it contains sentences which make sense to readers. The keywords or phrases are inserted in a manner which makes grammatical sense. In the end, readers enjoy reading the content. – Great writing needs to be enhanced by inserting relevant media. This includes videos, audios or even photos. Such media makes the article feel alive and exciting. It also enhances comprehension for the reader. No one wants to spend their entire time staring at text. – Great writing isn’t supposed to be an end in itself. It is supposed to serve a greater purpose. Examples of a greater purpose can be: signing up for a newsletter, purchasing a commodity, sharing the article on their social media page, and posting a comment. To achieve the greater purpose, there has to be a strong call-to-action at the end. – Great writing involves the proper use of header tags (H1, H2, etc). These indicate to the search engines the levels of importance of the different sections on the webpage. – Great writing isn’t just limited to what appears on the webpage. It also stretches to meta tags and descriptions. The meta tags aid search engines to properly index a page. The meta descriptions appear in SERPs, and give a summary of the page’s content. Ultimately, for a website article or blog to be considered great, the above are some of attributes it must possess. Unfortunately, these attributes are just the starting point towards creating SEO-friendly content. For web content to be truly SEO-friendly, it needs to be organized according to the silo architecture. This format basically involves organizing website content in a hierarchy of inter-linked components. At the top of the hierarchy is the Home Page. This links to three or four main core pages (the Silo Pages). Each of the core pages lead to a number of other pages. The hierarchy continues until you reach the individual pages which hold specific articles or blog posts. This organization makes it easy for search engines to index the website. It also makes it easy for users to find content. Ultimately, using a silo architecture greatly enhances your SEO (http://www.themezoom-neuroeconomics.com/Website_Silo_Architecture). Producing good quality writing can be a long and stressful process. Given the sheer number of activities involved, producing a single article or blog can be labor intensive. And yet, to maximize the SEO potential of your website, you need to constantly furnish it with fresh content. This is where professional writing services come in handy. Professional writing services especially for the web are typically provided by experts with extensive experience in SEO writing. Such experts are able to produce top-quality articles relatively quickly. Therefore, if you desire great content for your website, all you need is to find the right writing services. We offer such services. As such, we produce for you great content for your website. Simply contact us at 303-200-1000 right away and or email our team at sales@seozones.com and let’s get started! You can also fill out and submit the form on this page to request additional information and along with it, you can get a FREE website analysis!